A city employee carries a bag of seized cocaine to be destroyed at a police base, Lima, Peru, June 7, 2018 (AP photo by Martin Mejia). 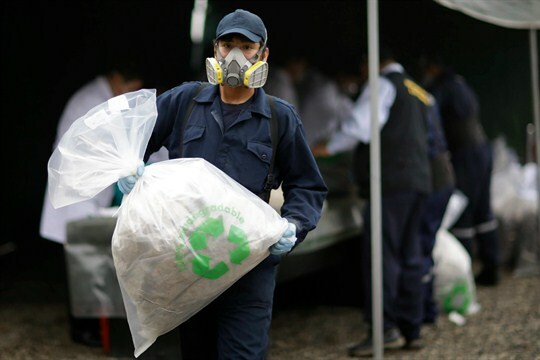 The international fight against drug trafficking continues to go poorly in South America’s Andean region, and signs suggest it won’t be improving anytime soon. New figures released this month by the United States show that Peru and Bolivia have stalled, if not taken steps backward, in their attempts to eradicate prolific cocaine production within their borders.